Hair grows from follicles called hair roots located at the bottom of the layer of skin beneath the epidermis, which is associated with blood vessels, nerves, sebaceous glands. The colour of hair is determined by the presence of a pigment called melanin, which is found in different proportions in individuals depending upon the genetic and climatic factors. 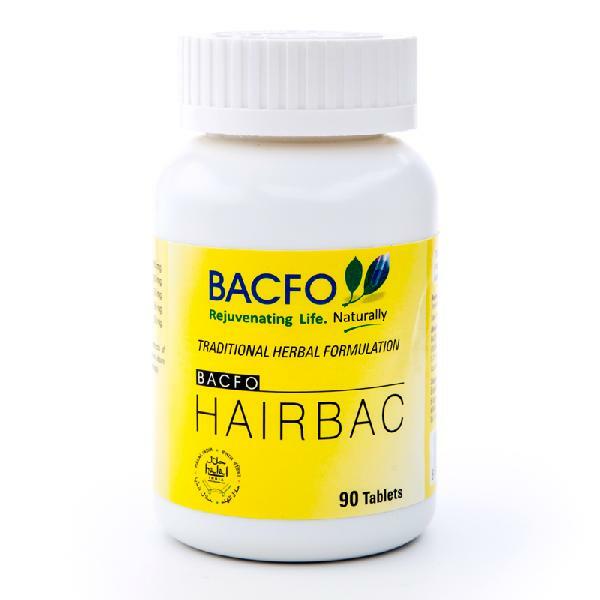 Hairbac is a research based herbal formulation. 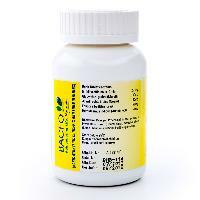 Which provides necessary nutrition for the hair by regulating blood circulation in the hair follicles. 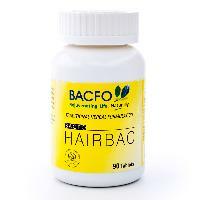 It also provides necessary nutrients for the growth, protection, strengthening and pigmentation of hair. 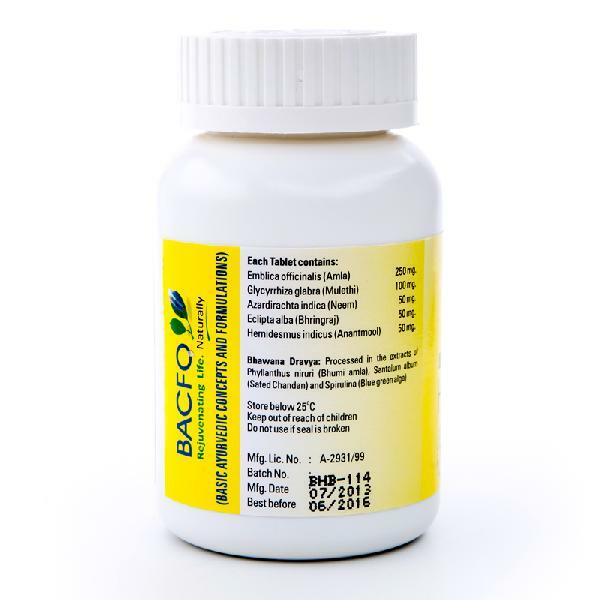 Directions for use : Take 2 tablets, twice a day minimum for 3 months or as directed by the physician.